Get out the wet wipes, you’re in for a hands on messy meal at Toronto’s newest smokehouse. 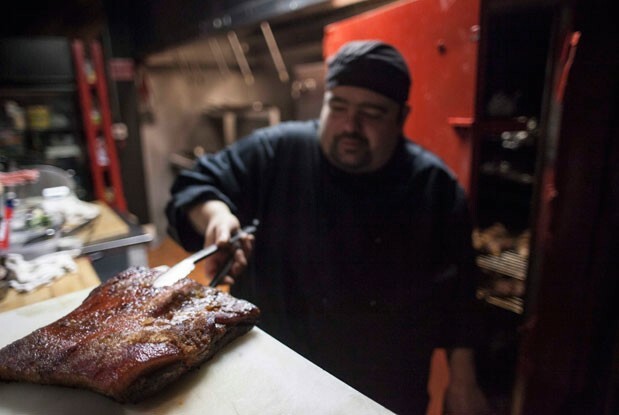 Opened just a few months ago by chef and owner Tony Gallippi, Smoke Bourbon Bar-B-Q House has surely awakened the quiet Harbord community with the invigorating smell of Southern-style BBQ. As you walk into the restaurant at the corner of Manning Avenue and Harbord Street the strong aroma of smoked meat immediately hits you. Grab a table along the giant windows overlooking the street, and take your pick at the selection of starters, entrees and sampler menu options to share with smokehouse favourites such as Pulled Pork ($12), St. Louis Style Ribs ($16), Corned Beef Brisket ($15) and more. You’ll most likely be surrounded by area locals who frequent this neighbourhood-friendly spot with family and friends for a no fuss, savory meal. Chef Tony Gallippi grew up just around the corner from the restaurant, but spent many years working as a chef in Windsor before returning back home to the neighbourhood to open Smoke Bourbon Bar-B-Q. His barbecue is lightly rubbed and smoked with mild woods served with sauce on the side so diners can enjoy as much or as little sauce as they’d like with their meats. The 4 sauces—Smoked Sauce (zesty), South Carolina (a nice kick), Texas (bold and spicy) and Sweet Fire (with homegrown Scotch Bonnet peppers and a touch of brown sugar)—are all made in house. I attended the grand opening party for the restaurant last month (full disclosure, the chef is a relative!) and enjoyed a healthy sampling of almost the entire menu. 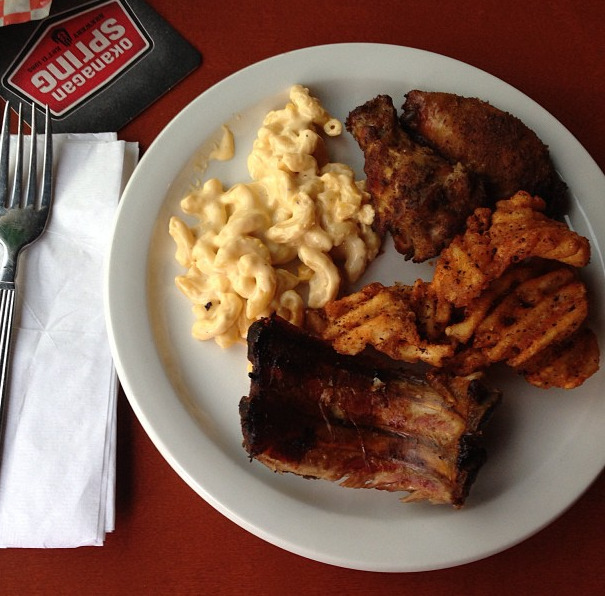 The ribs and wings were smoky and succulent, and we enjoyed them paired with the house-made sauces and on their own. Although it was a little too spicy for my liking, the Pulled Pork was the undisputed favourite at the party. For me the four-cheese Mac ‘n’ Cheese ($3.50 on its own) was the definite winner and could have been my dinner itself. Smoke Bourbon Bar-B-Q is open for lunch and dinner everyday, and does take-away too.